Welcome To The Complete TM VSR-10 And Compatible Clone Part/Upgrade Guide/Directory. Top two, FOX_111 from airsoft Canada and his KJW M700 with CA M24 wearing CADPAT Canadian camouflage. 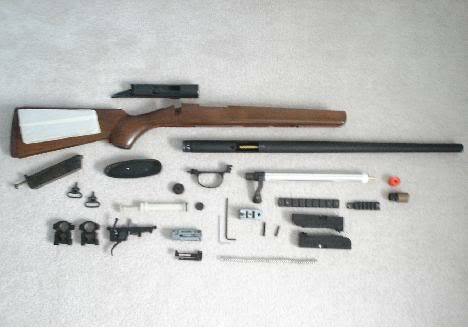 Middle left, a full aftermarket part VSR-10 with no base gun by Agent Spencer with KM wood stock. Bottom, a VSR-10 with a Smokey’s gun factory stock and various other parts. 1. The TM VSR-10 and list of compatible clones. 2. Full VSR-10 parts list and upgrade guide. The Tokyo Mauri VSR-10 was released in 2003, it was a competitor of the Maruzen APS-2 which had more available upgrades at the time and was more popular at the time in comparison. It has now many available upgrade parts, more commonly available then APS-2 parts even, with most credible retailers stocking them. The stock (Out of the box) power of the TM VSR-10 is 270-300 feet per second with a.2g bb, like most of Tokyo Mauri’s airsoft guns due to the .98 joule limit in Japan. 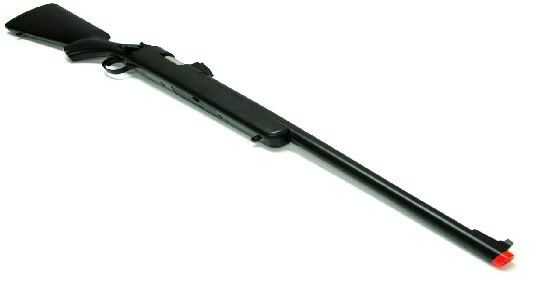 The TM VSR-10 comes in three versions; all have full metal internal parts, with the exception of the piston, spring guide and ABS plastic stock. Magazines hold 30 rounds. 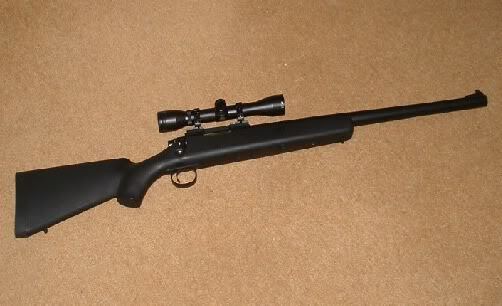 The most common; named the VSR-10 Pro-Sniper, has a 430mm long inner barrel with a inner diameter of 6.08mm, its total length is 1075mm and the stock is colored black. It comes with front and rear sights, with no rail to mount an optic and the outer barrel is tapered. 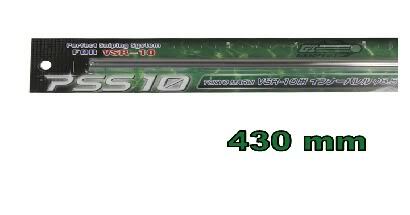 The second most commonly fielded, is called the VSR-10 G-spec. It includes a 303mm long inner barrel with a 6.08mm diameter, these versions come with an included foam filled airsoft suppressor and 20mm weaver rail for mounting an optic of your choice. 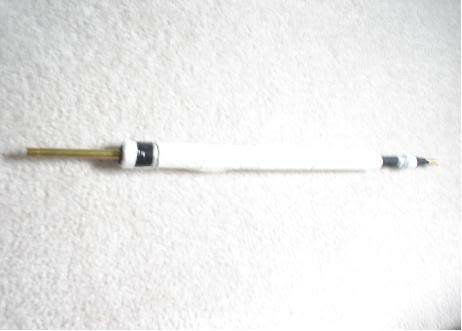 The total length without the suppressor is 950mm and 1130mm with the attachment. 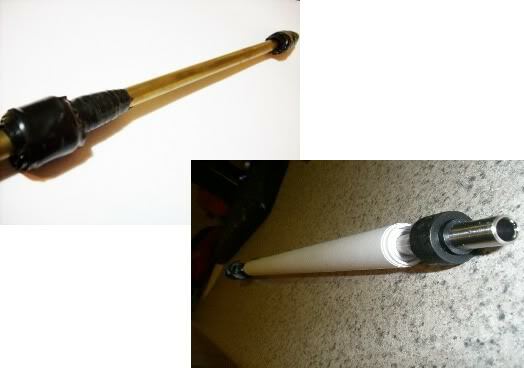 The stock is colored black and the outer barrel has the same diameter along its entire length. 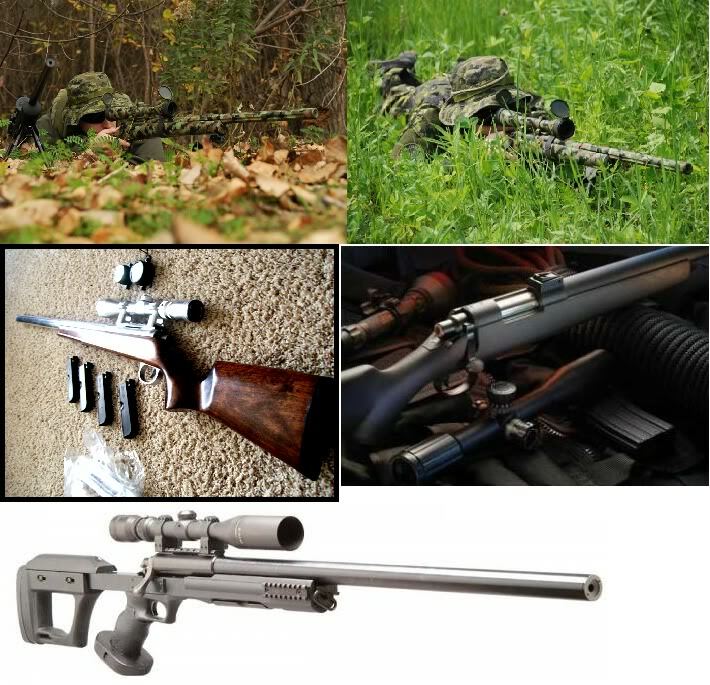 The least commonly bought, is the VSR-10 real shock; this version retains all of the characteristics of the VSR-10 Pro-Sniper with the exception of an imitation wood colored stock. As well as metal weights on the piston to provide a “recoil shock” during firing, this feature according to reviewers fails to deliver much as well as decreasing accuracy and power slightly. Tokyo Mauri has recently (During the writing of this guide) released an OD green version of the G-Spec with the suppressor and stock green. As well as a tan version of the Pro-Sniper, with the stock colored tan. Clones are airsoft guns literally “cloned” from the original design by another company, usually at a lesser price and therefore having lesser quality. 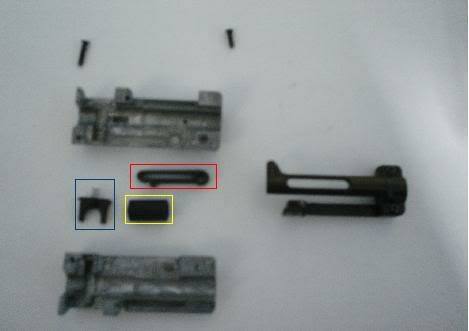 Although a halfway decent clone of an airsoft gun should be able to use the parts available for the original. Some quality variations might render a clone not able to use VSR-10 parts, you get what you pay for. The first clone of the VSR-10 is the USR-11 made by the airsoft manufacturer HFC. It features the weighted piston the VSR-10 Real Shock has, but features a black stock. It shoots about the same as a stock VSR-10, but this may be increased by removing the weights on the piston. By far the most popularly chosen clone of the VSR-10 even rivaling the sales of the original gun it was cloned from. 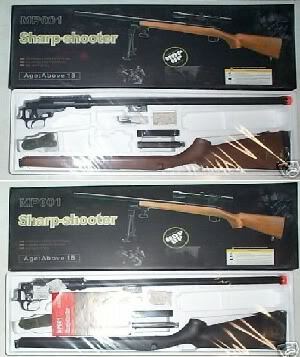 Is the JG BAR-10, or the Bolt Action Air Rifle by the airsoft manufacturer Jing Gong. It was popularized by The Crimson Falcon and his well known Teflon and airbrake modifications increasing power. The gun comes in two variants, the G-spec and Standard version, both with the same characteristics as the VSR-10 G-spec and Pro-Sniper respectively. And a magazine catch (The part that holds the magazine in) that is quite finicky and known to pop out. The MB03 another clone of the VSR-10 made by the airsoft manufacturer WELL. 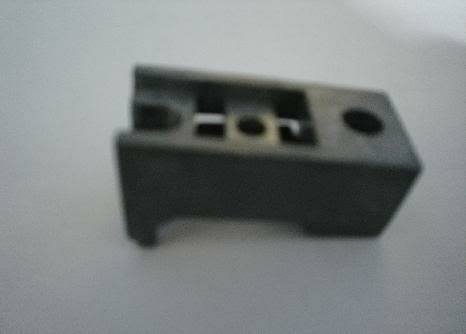 It is fully compatible with VSR-10 parts like the ones mentioned above. 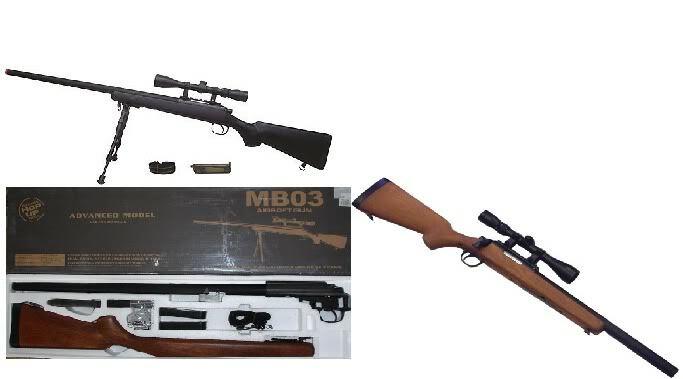 It is modeled after the Pro-Sniper variant, the WELL MB02 is modeled after the G-spec. The MB02 has some accounts of the cylinder being too small to take VSR-10 cylinder parts. They come in black or surprisingly nice imitation wood. The TSD SD700 is a re-branded version of the well MB03 that comes in black, od, tan or imitation wood. 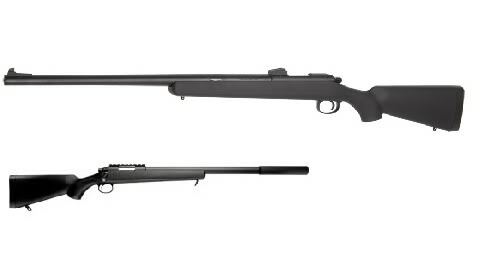 It includes a extra magazine and 510mm inner barrel. The AGM MP001, also branded by retailers as the JG MP001 or AGM VSR-10 has only a few of the internals that are VSR-10 compatible. The stock comes in either Black or imitation wood. The cylinder takes APS-2 parts, while the barrel and hop up are similar to the VSR-10’s as well as the trigger. The one above has a totally exaggerated accuracy claim of an inch at 100ft, total bs. 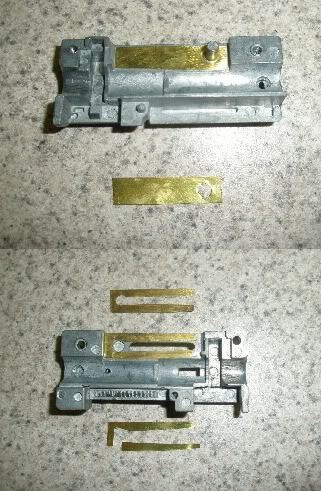 We will be using pictures of the internal mechanisms of the TSD SD700 MB03 re brand as seen disassembled above. The only non VSR-10 compatible part of this gun is the muzzle. I have listed the parts in the order of the greatest importance when upgrading. The inner barrel on stock vsr-10 clones is usually made of brass and has a 6.08 diameter. It is believed by the majority of airsofters that the tightness of the inner bore and most importantly the quality of this part is one of the important characteristics in an airsoft gun’s accuracy. As you can see I have fitted homemade “barrel spacers” on my inner barrel, this fits the inner barrel snugly inside the outer barrel, thus reducing vibrations and increasing accuracy. Aftermarket ones will also be listed. 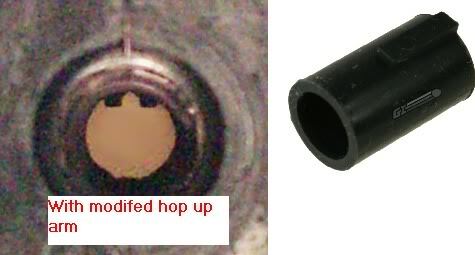 Tighter then normal (<6.08mm) barrels are called tightbore barrels. 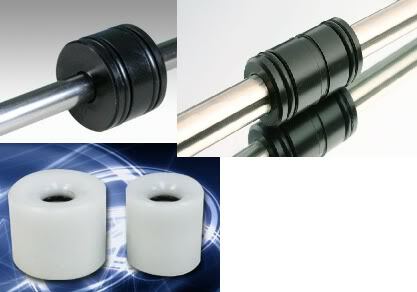 To avoid accuracy inconsistencies or even jams, use only high quality bbs in tightbore barrels. 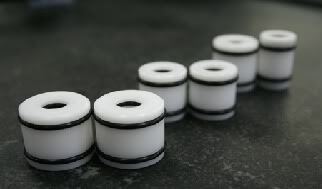 The inner diameter of tightbores range from 6.07-5.98mm, with 6.01-6.04 being most commonly used and sold. VSR-10’s do not use the same barrel cut as AEGs, so AEG inner barrels will not fit a VSR-10, unless the barrel has a universal cut like a DBC or the hop up has been modified to use AEG barrels and buckings. 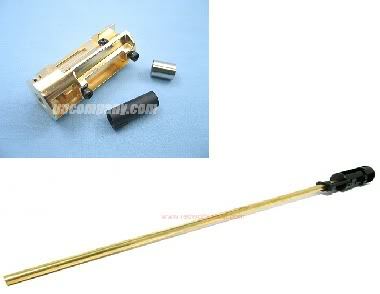 Edgi, known as Ed or Eduardo G. Icban, makes “High speed brass” (Apparently the same brass used in air guns) tightbores in the Philippines as well as other durability parts and kits for many airsoft guns. His tightbores range in inner diameter from 6.04 all the way to 5.98mm. 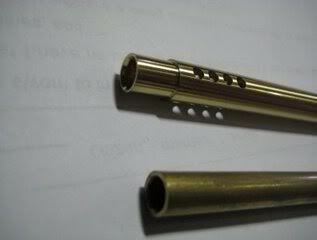 There is an option for a larger outer diameter (with the standard size near the hop up and muzzle) known as a “bull barrel” to reduce vibrations, as well as another optional feature called porting, which are several very precise holes near the end of the muzzle that increase accuracy slightly. Righthook fabrication has chosen to use EDGI barrels in their custom HPA powered sniper rifles. 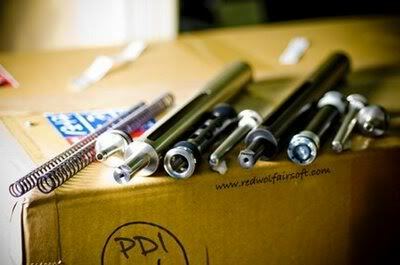 The US distributors known as EDGI USA is run by bnoji (Ben) and others distribute Ed’s barrels and used to distribute his power and durability parts. 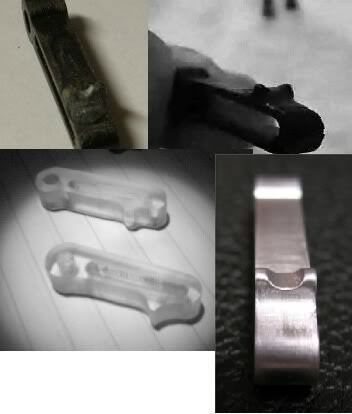 EDGI USA is now making their own durability parts such as pistons, spring guides etc under the name of Polarstar Airsoft. Or contact Ed himself, by private message (PM) though an airsoft forum. 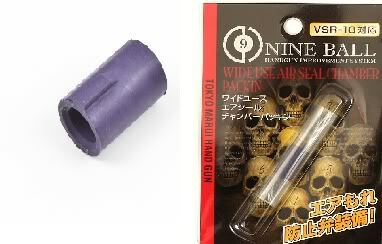 PDI is a Japanese company that makes many parts for many different airsoft guns. 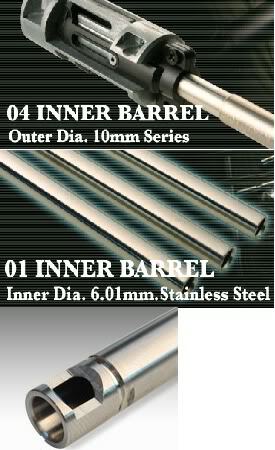 PDI makes barrels for the VSR-10 in stainless steel in 6.08, 6.05, 6.04 and 6.01mm inner diameter. Their 6.04 has a larger outer diameter similar to EDGI’s bull barrels. 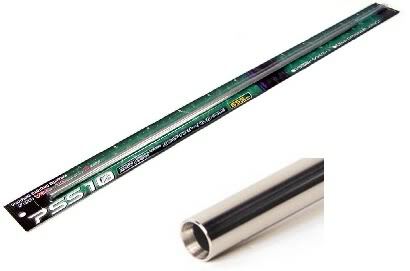 Laylax also known as PSS10 or Prometheus make VSR-10 Barrels in 6.03mm inner diameter from stainless steel. In 303mm G-spec, 430mm Pro-Sniper or 555mm long. EDGI and Polarstar sell barrel spacers for their inner bull barrels. Homemade barrel spacers are easily made, although I do not recommend using them with a precision barrel. The VSR-10 uses a two pronged hop up arm (Red) that presses down on the bucking (Yellow); this is called a V-hop up. Stock, the VSR-10 and its clones have a problem where the hop up arm and other components are improperly aligned, thus applying a uneven or non straight spin on the bb causing curving problems. This is solved by adding material to the sides of the hop up arm, called shimming. Full chamber sets are also available; the first one released by Laylax called the AREO air seal chamber is a chamber that converts the VSR-10 to AEG style barrels. Another one by TM called the Tokyo Mauri Precision hop-up chamber has better tolerances then the stock chamber and comes with a brass 6.04mm inner barrel. Bnoji from EDGI USA/Polarstar airsoft has said Polarstar is working on a precision hop up chamber for the VSR-10 among many other things. 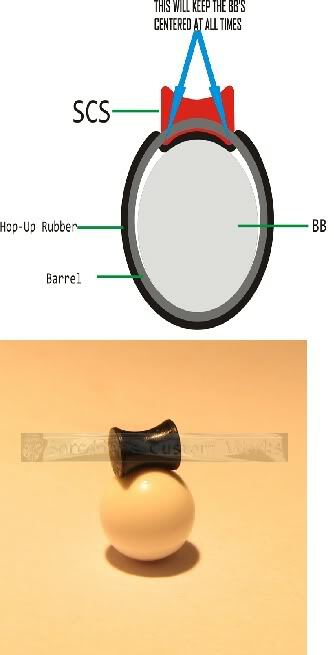 The hop up bucking is the main part of the hop up system; it is a piece of rubber that holds the bb in place and is hit by the bb creating spin during firing, they come in different hardness types, such as extra soft, soft, medium, hard etc. The softer buckings intended for lower fps. The VSR-10 is compatible with most pistol buckings. This bucking has the same “mound” for hop up effect as the stock bucking, but this bucking has a much improved seal between the nozzle and barrel. It is the most popularly chosen bucking. These buckings have two “fangs” that contact the bb instead of the standard “mound”. Misalignment of the hop up arm causes problems with this bucking, and the two V-hop up arm prongs usually push the firefly’s fangs together. A modified arm should be used to get the most from this bucking. The VSR-10 and its clones have a common problem where the position of the arm is uneven curving shots; this can be remedied by shimming mentioned earlier. This part makes sure only 1 bb at a time is loaded, but sometimes the spring might be too weak and causes double feeding, try replacing the spring with a cut down pen spring. 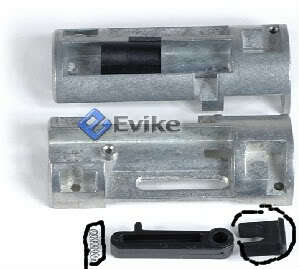 If you totally lose this part, get a stock hop up chamber or tm precision chamber, this part is not sold individually. 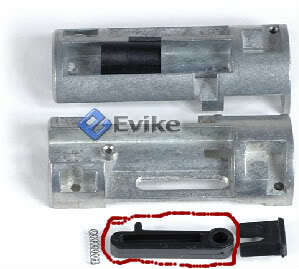 This part uses two screws to secure the hop up chamber in the outer barrel, it seats the upper part of the VSR-10 in the stock and has the threading for the forward screw that keeps the stock and upper part of the gun together. No aftermarket versions of this are available, www.airsoftgi.com has a stock JG BAR-10 hop-up block. The trigger mech is made up of several parts, the trigger housing that holds the parts together, the spring guide stopper that centers the spring guide in place and holds it back during cocking; the piston sear that catches onto the piston, the trigger sear, the trigger and finally several springs. This is an absolutly fantastic guide absolutly pin worthy. I post this will every ounce of respect for Skyii the sniper. Subject: Re: Skyi's Incomplete complete VSR-10 guide.